BJP had pledged to make Maharashtra drought-free this year but many dams, ponds & tanks remain dry. Mumbai/Dubai: In India’s richest state, Maruti Bhosle roamed the parched fields surrounding his one-room tin hut before taking his life. The farmer left behind a wife, a daughter and 150,000 ($2,160) rupees of debt borrowed at a 60 percent interest rate. The story is eerily repeated in many villages in Beed district, which sits a few hours’ drive from India’s financial capital Mumbai in Maharashtra state. A three-year drought has left farmers like Bhosle with no income to pay back loans, with tragic consequences: Beed reportedly has the state’s highest rate of farmer suicides. 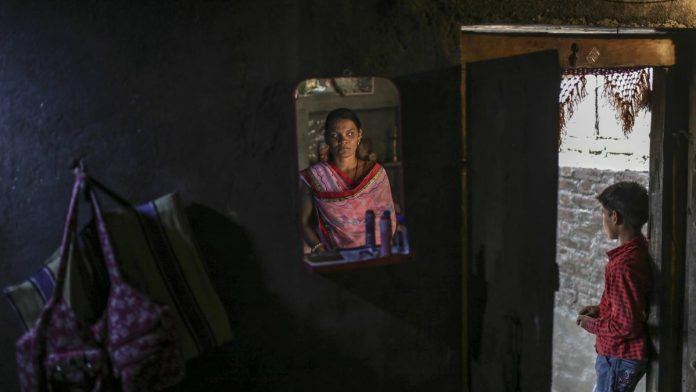 The deaths, exacerbated by a lack of job opportunities, may pose a challenge for Prime Minister Narendra Modi’s attempt to repeat his party’s performance in Maharashtra. In 2014, the Bharatiya Janata Party’s coalition won 42 of 48 seats, one of the largest number up for grabs in any state. While Modi appears set to win another five-year term with a reduced majority when votes are counted on May 23, farmers remain a wild card. Large-scale farmer protests have popped up across India, with a contingent from Beed joining more than 50,000 who marched to capital New Delhi last November. Mumbai has also seen thousands of farmers from Maharashtra jam up roads over the past few years to protest the Modi government’s farm policies. Rising cost of fertilizers combined with depressed crop prices have left farmers with less money for living expenses and consumer goods across Asia’s third-largest economy. In an already arid eastern Maharashtra, a seemingly endless drought has led to rising indebtedness and crop failures. As many as 12,602 farmers and agricultural laborers in India committed suicide in 2015, according to the last available data before the government stopped releasing figures. Maharashtra, along with neighboring Telangana and Karnataka, accounted for half of the deaths among India’s 29 states that year. Modi’s BJP had earlier pledged to make Maharashtra drought free this year. The project called Jalyukt Shivar Abhiyaan accelerated the building of dams, ponds and tanks to store water. But many remain dry, prompting residents to look for other ways to get water. Bhaskar Sukhwasi, 60, helps run one of six diesel generators used to pump water into tankers from one of the few remaining reservoirs in Beed, which are then delivered to 57 villages in the district. He is supposed to be paid 150 rupees a day but says he hasn’t received wages for months. The main opposition Congress party is appealing to those who feel left behind under Modi. In Beed, which may have been derived from the Persian word “Bhir” meaning water, the BJP may be facing a close fight. Moreshwarnath Sagale voted for BJP in 2014, but he plans to vote for a local ally of the Congress party when the district votes on Thursday. Sagale blamed Modi for rising joblessness and the plight of farmers in the region. Satish Nagre, the Maharashtra vice president of the BJP’s youth wing, is confident his party’s candidate will win. He cited efforts to bring railways to the area and the work on water conservation. He also pointed to the fact that most of the elected officials from the district were from the BJP. Modi’s stance on national security—he’s made a February airstrike on Pakistan-based militants to avenge a terrorist attack in Kashmir a central plank of his election campaign—will also help lure voters, Nagre said. In Beed though, the top issue is clear for residents like 23-year-old Reshma Sawant. Her husband killed himself because he was unable to pay debt borrowed at about 5 percent a month, leaving her with a daughter and 300,000 rupees of debt.